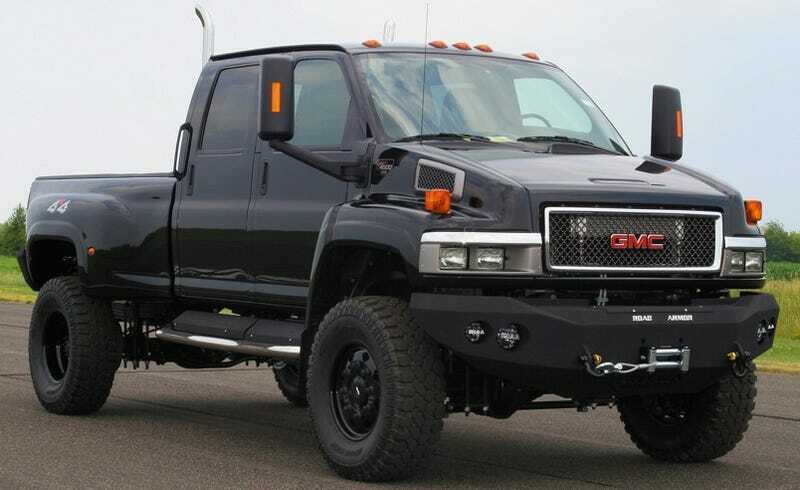 Just weeks before Transformers 2 hits theaters, GM's killed Ironhide, announcing they'll be ceasing production of medium duty trucks after being unable to find a buyer due to the Carpocalypse. Goodbye, GMC TopKick and Chevy Kodiak. You'll both be missed. Here's the full release in all two sentences of its glory. After four years of working with multiple potential buyers, General Motors has decided to wind-down its medium-duty truck operations. Production of the Chevy Kodiak and GMC Topkick medium duty trucks will cease by July 31, 2009.